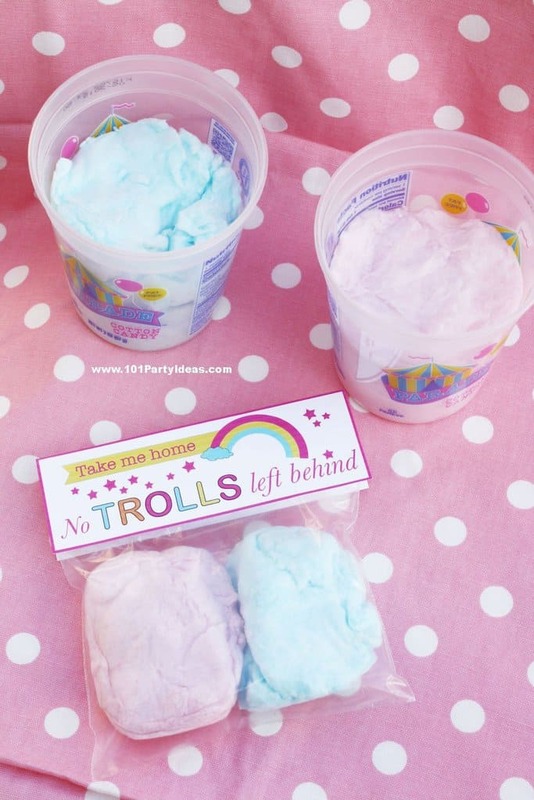 Add this to your Trolls Party Ideas! 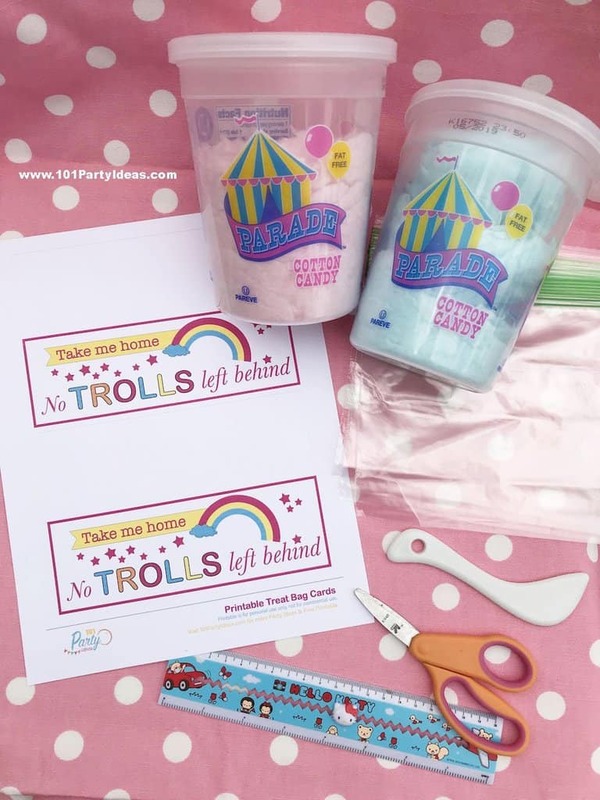 Trolls Treat Bag filled with cotton candy and our Trolls Printable “No Trolls left Behind”. For sure, everyone will bring home one (or two)! It’s great for a Trolls Birthday Party or even a gift to your kids’ classmate. Follow our tutorial below and print the printable to go with it.